About two years after the project was first discussed, and a year after I finished writing the thing, my first book is finally out. It is part of a series of books called ‘Le Snob’, with expert views on such hedonistic hobbies as whisky, cigars, champagne, lingerie and tailoring (with only the latter being written by me). It is being published in a handful of countries, with Germany coming first (out now, in German, on www.amazon.de) and the UK and Australia coming in August. 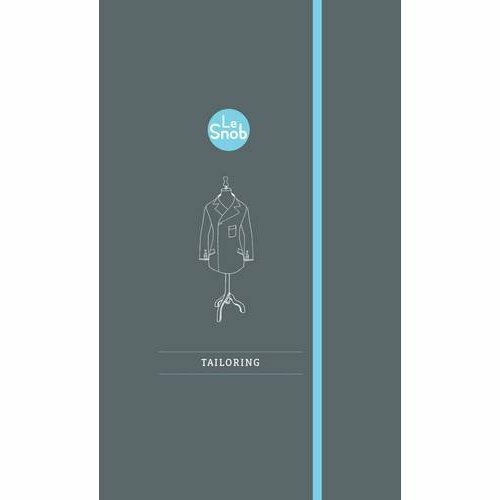 Le Snob: Tailoring is a small, pocket-sized guide to all aspects of buying suits, from finding quality ready-to-wear to selecting cloth for a bespoke linen jacket. It covers having suits altered, the advantages of made-to-measure and tips on visiting a proper tailor for the first time. I’m also glad to say there are personal contributions from many of tailoring’s leading lights, including Pat Murphy from Huntsman, John Hitchcock of Anderson & Sheppard, Antonio de Matteis from Kiton, Patrick Grant and Michael Drake. In a ‘Words from the Wise’ section in each chapter, they give their advice on cloth, colour combinations and standing naturally when you’re being measured. There are chapters on style icons, black tie, maintenance, and something brief on accessories. 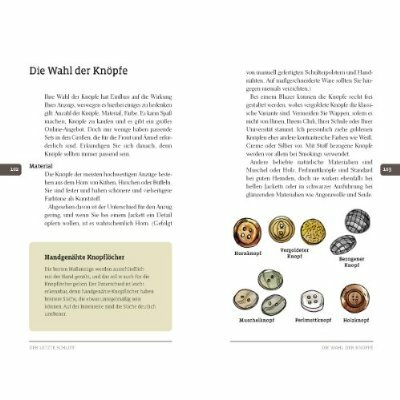 There is also a short glossary and a list of recommended tailors around the world. For those that are regular readers of this blog, much of the information may be familiar. And it is not as comprehensive as Flusser’s Dressing the Man. But it is, I hope, a good introduction to those wanting to explore the world of tailoring for the first time. I hope you like it. I would say look out for number two, but that’s only just been started and it might be another couple of years before it sees the light of day. You can follow the discussion on Le Snob: Tailoring by entering your email address in the box below. You will then receive an email every time a new comment is added. These will also contain a link to a page where you can stop the alerts, and remove all of your related data from the site. Seems like an interesting initiative. Many books on tailoring and men’s style have been published recently, it’s a good sign. It is an interesting initiative. 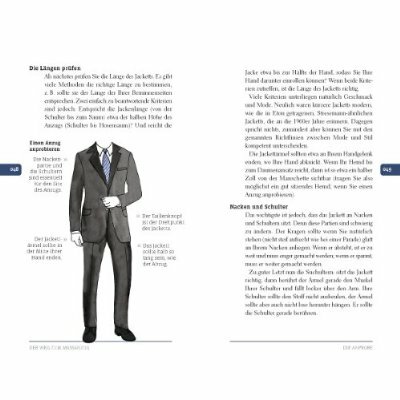 Many books on tailor made clothes and men’s style have been published recently. It’s a sign that men care about dressing well. Looks very promising – am looking forward to the English version comes out. It sounds like classic in the making. Can we expect to see this in the U.S. soon? You will be able to buy it on Amazon in the US at the same time as the UK. Congratulations on the book Simon! It looks fantastic and I look forward to purchasing it when its available in the Uk. Also, a slightly off topic question but would you mind telling me what colour your Edward Green Oundles are? I am ordering a pair of MTO westministers in the next few days and would like to see a swatch of that shade for comparison. I’m not nuts about books with illustrations as opposed to photography… Unless it’s stunning artwork. I just bought your book an hour ago. Looks pretty cool at first view. I’ll tell you more this evening. I get ridiculously happy when someone with such a solid background on style like yourself publishes a book. Its like a gift/treat to readers out there. I’ll be here waiting for the UK dates for its purchase as I live in the States. Not fair Germany get’s it first 😉 Simon you spoke briefly about book#2?? will that be another topic?? Yes, different topic. Probably concentrating on factory visits and buying craft. Great idea, a marvelous topic indeed. Well I guess I’ll be on the look out for that one as well. Congratulations on your book – looks very interesting and I would love to buy a copy. Will this be available as an ebook, though? Hi Simon, I’m very much enjoying the book. I’ve been waiting for the English edition for a while, well worth the wait! I recently saw the book at Allure in Abu Dhabi. I think it would be a great gift for my adult children. Please advise where I might be able to purchase the book. Amazon, list the book but does not have any new. I am looking for 3 copies.